Dogs are essential members of the family, and just like your human children, your furkids deserve to receive the best medical care. 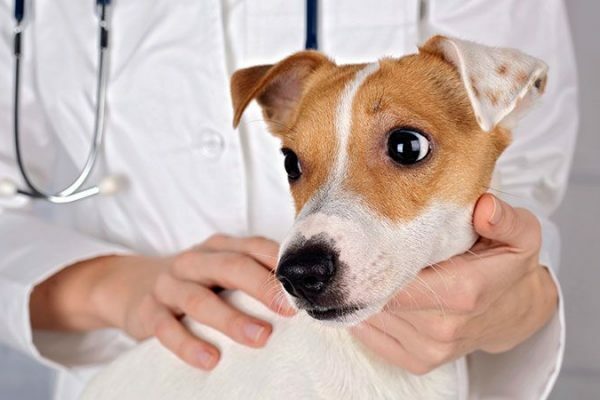 Your dog may not have any severe health issues yet, but accidents do occur and illness which means you will have to pay hefty bills to get veterinary services. Sometimes your fur kid may have an ongoing condition that may be costly which thus necessitates having cover to take care of costs. It is therefore vital to be prepared for medical expenses such as immunizations, neutering as well as emergency care. Having an insurance policy for your dog is the best way to protect yourself from paying high medical fees in the event of an accident or illness. Dog insurance is a form of medical cover usually provided for pets. The insurance plan will cover partial or total medical care of your dog. Most insurance policies for your furkids get paid monthly although they do not have any minimum benefits prescribed or tax deductibles. Although different insurance companies offer varying policies the way it works is less the same. You can’t get insurance for your dog if it is already sick. To make sure this does not occur the insurer has a waiting period from the day you purchase the policy and when coverage starts. However, for accidents, the coverage waiting period usually is a few days. Your dog has to undergo a check-up before the policy begins to work to ascertain if there are any pre-existing conditions. Unlike personal insurance, your dog insurance requires you to pay your vet and then claim to get reimbursement later form your dog insurer. The insurer has to evaluate your claim however and if they approve they reimburse your funds through direct deposit or by check. The process takes about two to three days although for complicated claims it may take over a week. The reimbursement depends on the structure of your plan regarding the reimbursement level, deductible, and annual max. Premiums are calculated depending on your dog species, breed type with larger breeds costing more, the age of your dog where young dogs cost less as well as your location. The premiums will vary according to your location with densely populated areas having higher premiums. Many insurance companies provide covers and here are some of the best insurers offering the best packages. They offer insurance plans covering illness, hospitalization, accidents, hereditary conditions, surgery, cancer care, blood test, X-ray, alternative and specialty care as well as prescriptions. However, they do not cover parasite control, preventive health care, cruciate ligament issues, gland expression, neutering/spraying, and dental healthcare. It offers a veterinary discount insurance plan without any exclusion on the services they cover as well as no annual limits. It’s a veterinary discount plan and for you to receive the 25% discount you have to use one of their network veterinarian providers. They have a single dog plan, a family plan for two to four dogs and unlimited. If you are thinking about dog insurance cover and still want to save on your dog’s health care, this could be a good choice. Figo is the best for live-saving treatment since there is no co-pay or deductible. You will need to visit a licensed veterinarian of your choice, and the reimbursement will not get docked on your visit. The waiting period for illness is 14 days while for accidents you can get your cover after five days. They offer insurance protection for patella and cruciate ligaments, but they have a waiting period of 6 months. However, if your dog gets examined after 30 days of enrolment and there is no pre-existing condition they waiver the waiting period. They have three plans that include Essential whose limit is $10,000, Preferred with a limit of $14,000 and the Ultimate cover offering unlimited cover. Pet Plan offers fully personalized plans without any limits of age or exclusions based on hereditary conditions. Its broadest plan covers extras such as boarding fees and travel expenses in the event you cut short your vacation to attend to your dog’s emergency or illness. They also cover advertisement costs for your lost dog as well as losing your dog. The annual coverage limits range from $2,500 to $25,000 with the deductibles being between $100 and $1,000. Your reimbursement will depend on your plan, and it varies between 70% and 90%. They have a True Emergency Only Option which is an accident only cover to cater for unplanned emergencies. However, the plan does not include examination fees and any special treatment that your dog may receive. The plan has an annual limit of $10,000 with a deductible of $250 and a reimbursement of 90%. Pets Best offers the least expensive plans for dog insurance. They offer customizable plans that you personalize to what you want to get covered. You are allowed to pay for coverage you need instead of paying for other stuff that you may not need. Their deductible options are available from $50-$1000 with a 70% to 90% reimbursement. They equally offer wellness plans.